Don’t we all love green smoothies? I know I do! Brian on the other hand, not so much. I make them almost everyday, and everyday he drinks them reluctantly. 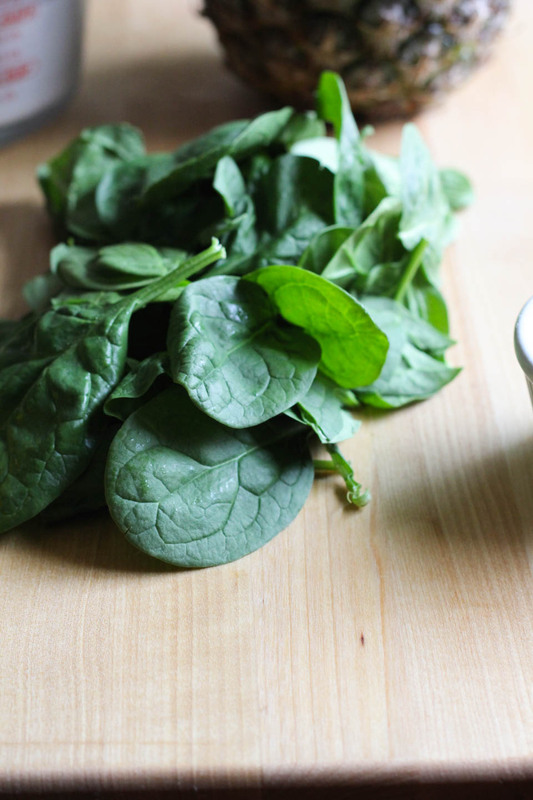 We all know they are good for us, if made with mostly the right ratios of greens to fruits and protein. It’s not that he hates them by any means. It’s not that bad, he says. It’s just not his favorite. I don’t mind them at all, in fact, I love the taste. Some more than others of course, but I enjoy it. Tropical Green Smoothie is a win for my morning! I make them the night before, just so we can wake up and have no excuses. You certainly don’t need to make them the night before, that’s just how I roll. Plus, Brian leaves for work earlier than I am ready to be up and making smoothies, so yeah the night before works for us. This one is tropical and sweet from the pineapple, protein from the almond milk and hemp seeds, and greens from the spinach. It reminds me a pina colada with the pineapple, think Tropical Green Smoothie yum! 1. Place all of the ingredients in a blender, and blend until smooth. Enjoy! Use frozen fruit for thicker consistency. Awesome smoothie recipes from my blogging friends! Mango Lassi from Kalyn’s Kitchen. Pineapple Orange Creamsicle Smoothie from Two Healthy Kitchens. 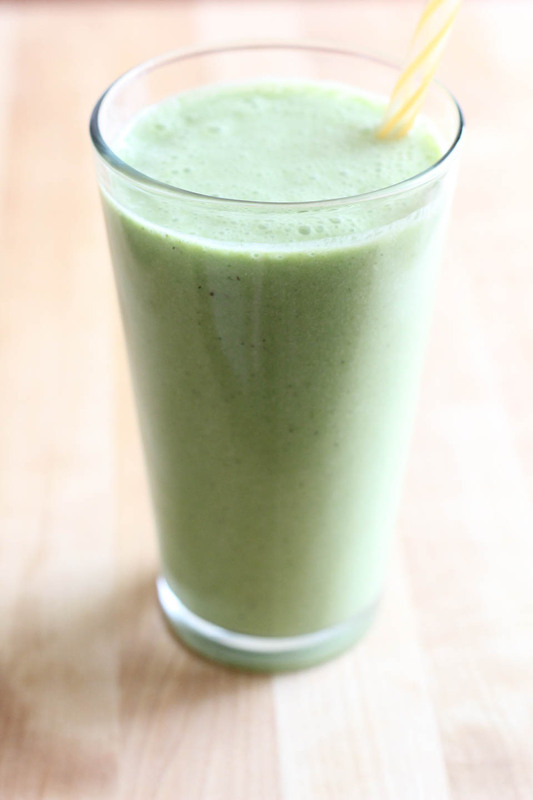 Tropical Avocado Smoothie from Created by Diane. 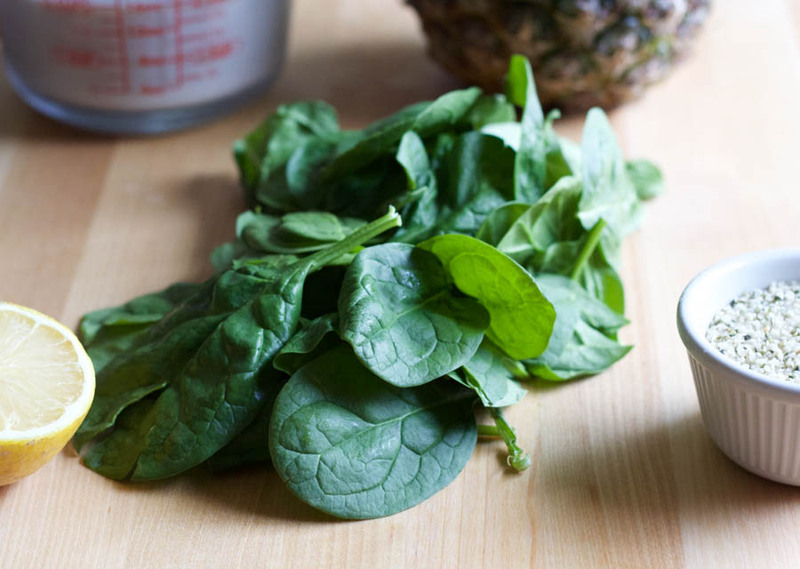 Pineapple and spinach, what a beautiful combination. Get your greens and your tropics on with one sip! Green smoothies are such a great way to start the morning. Love the fresh pineapple in yours, it looks delicious! I’m also not a green smoothie person, but this one is looking and sounding so delicious that I might have to make an exception!!! Lol!!!! No pressure here :). I shared something very similar today…must be a great combination! I saw it, great minds! This sounds delicious! I love the idea of pumping up tangy pineapple with rich almond milk. Yay! I’m definitely behind on my smoothie-making skills! This sounds delicious. Oh I love how you used pineapple here- I love the tangy sweetness it lends to drinks!